Coming from a music family, David's exposure to music was natural, and at the age of 6, he started taking piano lessons. After obtaining a diploma in pianoforte and theory from the London College of Music at the age of 20, there was always a desire to apply his music knowledge into something more contemporary. He started to collaborate with different singers and musicians combining more and more piano playing and singing, firstly as a backing vocal and then as main singer. Having been involved in different music projects with other local and foreign musicians, David learned to appreciate and experiment different music styles including rock, blues, reggae and jazz. Recently he also started to play guitar as a second instrument. This gives him versatility both when performing or composing music. In 2017, David made the first round of selections and auditioned for the famous TV show, X-Factor in Spain. A year later he participated in the Maltese version of the show and passed the judges auditions but was eliminated during the Bootcamp phase. David launched his debut single as a sole artist - I'm Gonna Be Your Lover a mix of reggae with tints of jazz, blues and swing. A live acoustic version of the song was performed and transmitted on Spanish National TV Station La2 de TVE during the tv show Dfiesta, aired in December 2018. David's second single Gone, is a classic rock ballad speaking about an old love now gone. More music followed in 2018. His latest single Viaje al Paraiso is a song in the Spanish language which speaks about the parallel life of a musician and a migrant. This song was recorded in Madrid and produced by Fran Rivera, formerly guitarist of Italo-Spanish sensation Miguel Bose. 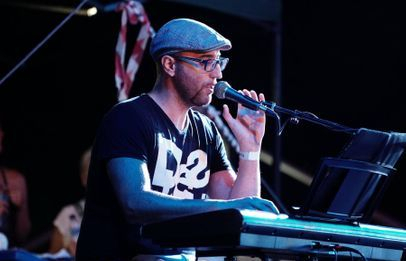 Apart from his projects as sole artist, David regularly performs in different spots across the Maltese isnds, both as a solo and with other fellow musicians, including pop-rock act called DBanned which he joined back in 2013.